The Newport Gwent Dragons rugby team roared to a 23-16 victory against South Wales rivals the Scarlets with the help of some college-created artwork. 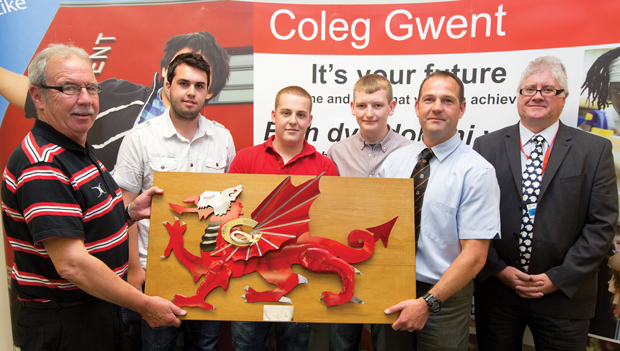 The team was presented with a metalwork sculpture of a dragon created by fabrication and welding and vehicle body repair students from Coleg Gwent at half-time. The dragon was commissioned by the Dragons outfit after a club member saw students’ work on a visit to the campus. It took 12 weeks to complete.